Solo Oil plc (AIM: SOLO), a natural resources investment company focused on acquiring and developing a diverse global non-operated portfolio of strategic oil and gas assets has negotiated the acquisition of a 10% interest in Helium One Limited for a total consideration of £2.55 million. Solo has also been granted a 90-day call option to increase its investment in Helium One by a further 10%, for an additional investment of £4 million, which would increase its stake to 20%. Consideration for the initial investment is by way of £1.2 million in cash and £1.35 million in ordinary shares. Should Solo exercise its call option to increase its interest in Helium One to 20%, the group will pay £2 million in cash and issue new ordinary shares to the value of $2 million. It should be noted here that this is an early stage play for the company, so investors should take a cautious approach to their investment decision and take all publicly available information into account. Solo has an established presence in Tanzania through its Kiliwani North gas production project and a 25% working interest in the Ntorya gas-condensate discovery. Consequently, its interest in Helium One provides exposure to a region that is well understood, while expanding into helium as a complementary energy product that aligns with its oil and gas assets. Ritson highlighted the fact that Helium One’s portfolio of prospective helium projects in Tanzania provides the group with a unique early stage investment into a potentially world-scale helium resource. Helium One’s Rukwa project located in Tanzania has independently been estimated by Netherland based Sewell and Associates Inc to contain unrisked most likely prospective recoverable helium volumes close to 100 billion cubic feet (BCF). Ritson is of the view that Rukwa, together with Helium One’s additional project areas at Eyasi and Balangida represent an attractive strategic investment, especially given the helium market’s weak supply dynamics and continued demand growth. Solo noted that global demand for helium is growing at a rate that is outstripping supply, presenting a significant pricing opportunity for future producers. Looking at the supply side of the equation, it is concentrated in only a few markets, mainly Algeria, Australia, Russia, Qatar and the US. While the US dominated the market throughout the twentieth century and remains the largest global supplier (circa 60% in 2015), the government’s decision to relinquish control of its assets has resulted in the majority of global helium production being sourced as a by-product from other gas producing streams. Qatar is the second largest global supplier, accounting for 24% in 2015. Naturally occurring helium rich assets hold considerable advantages, and from a geological standpoint Tanzania has been identified as a key country for helium exploration based on the evidence of surface gas seeps in the geological rift valleys adjacent to the Tanzanian Craton. This location is ideal in terms of potentially exporting the product given its proximity to the deepwater port at Dar es Salaam. 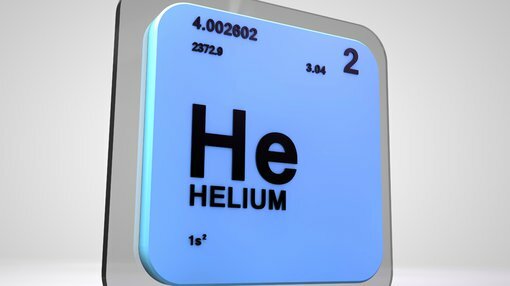 The use of helium is essential in many modern industries, ranging from cryogenics (including use in MRI scanners), to lifting and electronic applications. As these industries grow, in conjunction with many others, the demand for helium which has been rising rapidly for the last decade is set to continue. Helium cannot be readily substituted due to its unique properties being inert, non-toxic, and lighter than air and with an incredibly low boiling point of minus 269 degrees centigrade (just 4 degrees above absolute zero). Current global demand is estimated to be over 6 billion standard cubic feet per annum. The price of bulk liquid helium has risen by more than 100% over the past 10 years. Following a shortage of helium between 2011 and 2013, the introduction of supply from the Qatar 11 plant in 2014-2015 resulted in two years of oversupply. However, equilibrium returned in 2016 and the forward supply demand dynamics are looking strong.